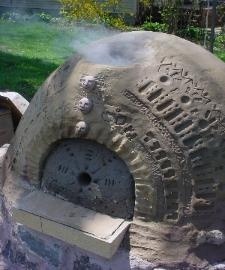 I enjoy building pizza ovens out of cob (a mix of clay and sand and other natural materials.) I had a photographic step by step journal of the process on an old website which is so outdated it no longer loads correctly. 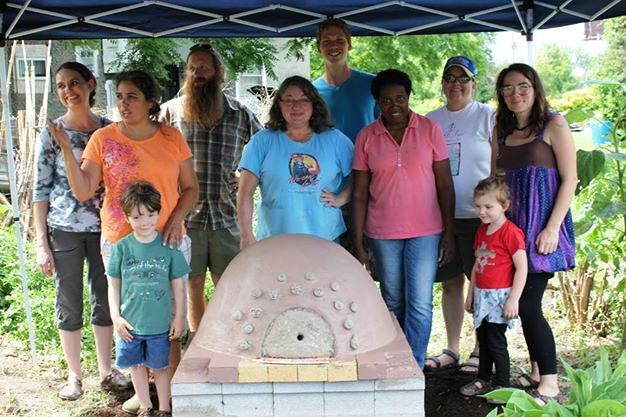 Watch this page for an updated version, as I plan to document our July oven build at Hands On Studio. Meanwhile, buy Kiko Denzer's book, EARTH OVEN. It's how I learned to do this,and the current edition has a photo of my home oven.